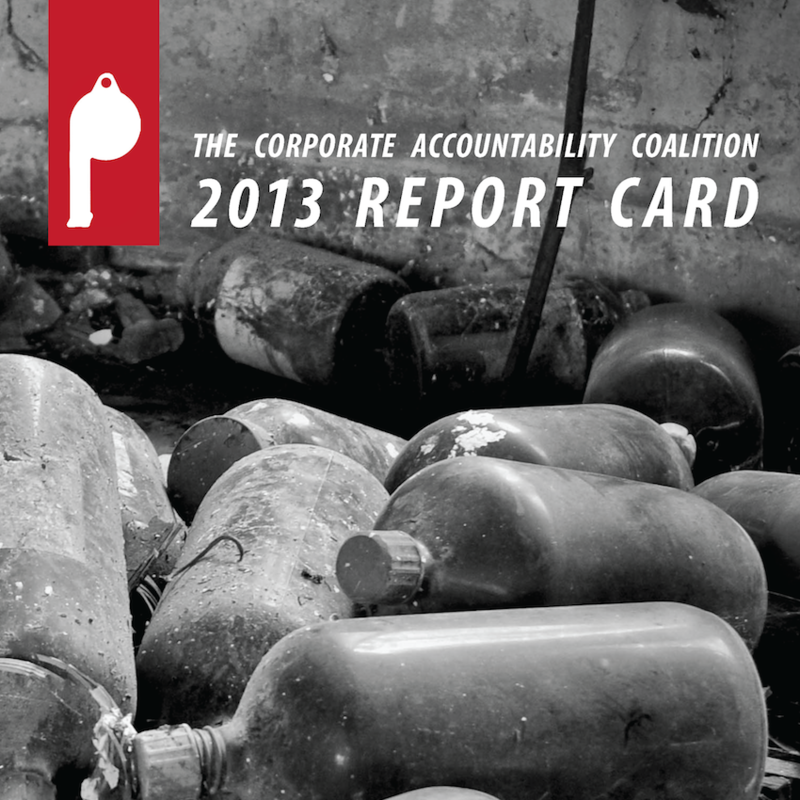 This is the second edition of the Corporate Accountability Coalition’s Congressional Report Card. The CAC Report Card represents an effort to measure Congress’s commitment to keep the power of large corporations in check, to promote transparency and responsible business practices, and to hold corporations accountable for their actions. Corporations are an important part of modern life and the modern economy, but their interests do not always represent the interests of living, breathing, human beings. This Report Card attempts to serve as an objective measure of Congressional efforts to ensure that protecting people, not corporations, is the primary focus of our laws and policy. 2013 continued to produce little congressional activity in favor of corporate accountability and responsible business practices. Not a single pro-accountability bill even made it to a vote. Some actions that addressed important issues regarding corporate responsibility and necessary limitations on corporate power garnered little, if any, co-sponsorship. Greater accountability and transparency should be at the top of Congress’ agenda. Unfortunately, as this Report Card shows, that is not the case. There continues to be no organized effort in Congress to address the need to tighten the restrictions on corporate power, enhance transparency, and promote accountability and responsible business. This Report Card will continue to monitor the actions of our elected representatives in Congress, reminding them that they represent human beings, not corporations. We hope it motivates members of Congress to make greater efforts to protect the rights and interests of the people by placing limits on how corporations can behave, reining in corporations when they attempt to go beyond those limits, and making corporations accountable when they disregard those limits. This is not just good for people—it is good for responsible American businesses, that suffer when irresponsible corporations are allowed to gain advantages from wrongdoing. Please send any feedback, comments, and concerns to [email protected]. If you are experiencing problems downloading the raw data, right-click the link and select “Save Link As…”. The following measures are being followed and will be scored in the 2014 Report Card, if they cross the minimum co-sponsor threshold. They will be scored according to the methodology described in the 2013 Report Card.